One of the hardest parts of a translation project manager’s job is supervising translators’ work and building relationships with them. All project managers know, the more competent and predictable the translators in their team, the more projects their team can complete, and, therefore, the more they can earn. As long as the project management and sales at a translation agency are well organized, the main obstacle to growth in the company is going to be shortage of staff. How do you minimize the risks associated with this and attract the best linguists to your team? It scarcely needs explaining why you cannot simply hand over jobs to unverified translators. This risks both financial loss and loss of reputation, because it is impossible to predict what the quality of the work will be, and whether it will be delivered to deadline. 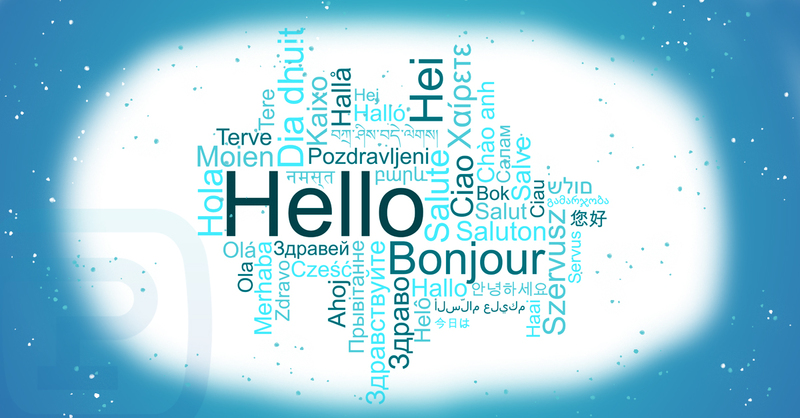 The screening of professional translators is one of the main functions of any agency. 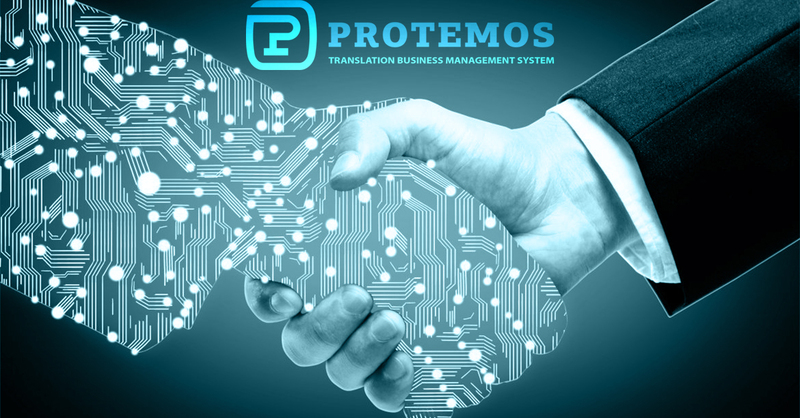 And yet, there is an unfortunate situation that regularly happens, whereby, having taken on a job from a new client, the translation agency searches in panic for suppliers on all the different translation portals (Proz.com, Smartcat etc. ), in the hope that these portals will already have done the whole screening job for them. And this is quite right, to a degree. However, these portals and exchanges merely perform the initial screening, weeding out the worst possible cases. Serious screening conflicts with the interests of these sorts of services: the more users they weed out, the fewer active users they get to hold onto. On top of that, translator ratings on portals like these are primarily based on feedback from clients. And you don’t know what kind of quality standards these clients maintain. It is entirely possible to get a situation like this: a student does some work at a low fee for a bunch of undemanding companies, gets a few decent reviews and sneaks their way into the rankings of the professionals who work with more persnickety clients. In this way, translation agencies that do not have their own screening processes become little more than traffic control services. Reliable staff have to be independently screened. It is a long and expensive process. With the strictest possible screening, a maximum of 3% of your applicants will pass your tests, at an optimistic estimate. There are two reasons for this. Firstly, there is almost no threshold for entering the profession: anyone can call themselves a translator, even people who don’t know if they can do it themselves. Secondly, the bulk of companies have no ability to evaluate the quality of the texts they get given — and they’re happy with unprofessional translations, especially when they’re in a language they don’t understand. As a result, determining who’s who in the translation world can be extremely difficult. Analysis of the resume or application form. Completion of a short test translation. You cannot rely on the first stage: a “stunning” application is merely a facade behind which you can hide anything you want. Often, mediocre translators will hide behind an impressive resume, while many professionals are unable to leverage their experience to their advantage due to poor sales skills or a low estimation of their own abilities. Therefore, the only way to get a more or less objective idea about a prospective supplier is a test. It should be noted that a test is far from an ideal screening method. A necessary part of being a professional technical translator in the modern world is the ability to learn, to draw lessons from one’s mistakes. But test results don’t tell you anything about whether the prospective supplier can quickly take on new knowledge and apply it in their work. Often enough, a translator who has successfully passed a test may have stopped developing and will not increase their level going forward, while a colleague who has passed the test by the skin of their teeth may go on to become a professional and an authority for their coworkers. A test is a momentary cross-section of a person’s current knowledge and abilities, and tells you nothing about their readiness to adapt. But from the translation agency’s perspective, a test is an inexpensive, tried-and-true method of separating the wheat from the chaff. There is only one instance in which you can skip the testing stage: if you know for certain that the prospective supplier has already been working well for a long with someone whose quality standards are no lower than your own. Generally speaking, this would be your competitors or their clients. Passing the test does not of itself guarantee the quality of the jobs that the translator will perform. It is one thing to spend a couple of hours translating and polishing up a test text, and quite another to do the same job inside a strict time frame. Some wise guys may find a way to pass these tests with outside help (it’s not clear what they’re hoping for: they’ll end up having to do some job themselves, and the deception will be exposed either way). But even if the linguistic skills of the new translator are beyond reproach, you never know what their communication skills will be like: whether they will follow instructions, observe deadlines, get the hang of new software, etc. The project manager should always be prepared for any work delivered (or sometimes not delivered) by the new translator to have to be retouched or even redone. For this you need sufficient lead time. But how would you, if the deadline for submitting the project makes no allowance for such experiments? A good workaround is to set the newcomer an assignment that has actually already been completed by another translator, presenting it to them as though it were real, with instructions, time frames and, naturally, payment. Experience shows that with about a third of suppliers, problems start on the first assignment: one will send a poor quality translation, a second will be late, a third will ignore your instructions and a fourth will be rude. You cannot let such unreliable suppliers near any real projects. To weed them out you need “fake” assignments, too. Of course, this is quite an expensive method: you are adding the cost of this extra fake work to your existing expenses, even if you are not satisfied with the result. On the other hand, if you screw up on a real project you will lose much more. Even once a translator has successfully made it through your screening process and does the fake assignment perfectly, that still does not guarantee that they are reliable. It makes sense to start working with them on small jobs, and only then, after they have built up some stats, can you trust them with more complex, bigger jobs. If circumstances necessitate that you entrust a large job to a new translator, ask them to send over their work in stages so that you can control the quality in advance of the deadline. It is every project manager’s dream to find a supplier who will complete any job to a high standard, who understands you implicitly and does not require any assistance. The only way to “mine” this precious resource is to train them yourself. Prepare yourself for the fact that vexations in working with new translators may crop up in the most unexpected places: they turn out not to have the CAT tools you require them to have, they’ve forgotten to do a spell check, they’ve sent you files by email, when the instructions said they had to be uploaded onto your translation management system, and so on. You’re going to have to be constantly on your guard and to train them patiently. This is the reason project managers often avoid working with new recruits. Instead of sending an assignment to an experienced translator and forgetting about it till the deadline, you have to spend time corresponding, clarifying and correcting. And it can happen that after hours of tedious training, the freelancer will end your collaboration unilaterally (“I didn’t think I’d have to learn so many instructions!”) so that the project manager will have wound up wasting their time over nothing. Any desire they had to work with new recruits in future disappears. However, there is no other way of creating a strong team and developing that unspoken understanding. Eventually, the effort you put into training translators will pay off, and you really will start to understand each other implicitly. A translation agency that refuses to pay for the work of the people it employs will wind up on all kinds of black lists. Sometimes it happens even when the agency is in the right. And Google will obligingly return your company’s name to the search “translation agency non-payer”. More often than not, people do not even follow the links — no one is interested in the nuances of other people’s disputes. If people cannot trust you, they will simply stop working with you — and that goes for clients as well as translators. So if you are planning on staying in business long-term, forestall any cause for complaint on the grounds of nonpayment on your part. It can be hard to follow this kind of logic. There are plenty of unpleasant situations that inevitably crop up in the everyday running of an agency: a client has refused to pay for a job or has gone bankrupt, the bank has closed down, etc. But these are all your problems, not the translators’. They have placed their trust in you without knowing what client you have made an agreement with or what bank you opened your account with. Your job is to justify their trust. You have to take the hit. Or else what are you worth as a company? If the translation a freelancer has sent you happens to be below standard, pay them for their efforts all the same and thank them for their work. The best thing you can do in that situation is to not deal with them in future. Paradoxical as it may sound, a poor quality or late translation from a freelancer is not their mistake, but yours. When it happens, it means you entrusted an assignment to a freelancer without confirming their reliability. And if instead of paying for their work you start a public feud with them on social media, you can be sure that most people involved in the discussion will be on their side, not yours. Most of the people that read your war of words will be translators, who will instinctively project the situation onto themselves — and no one likes to take the blame. You will be torn to pieces by the faceless mob. In other words you will pay one way or another — whether with money or your reputation. Strangely enough, money is cheaper, because without a reputation you won’t earn anything at all.